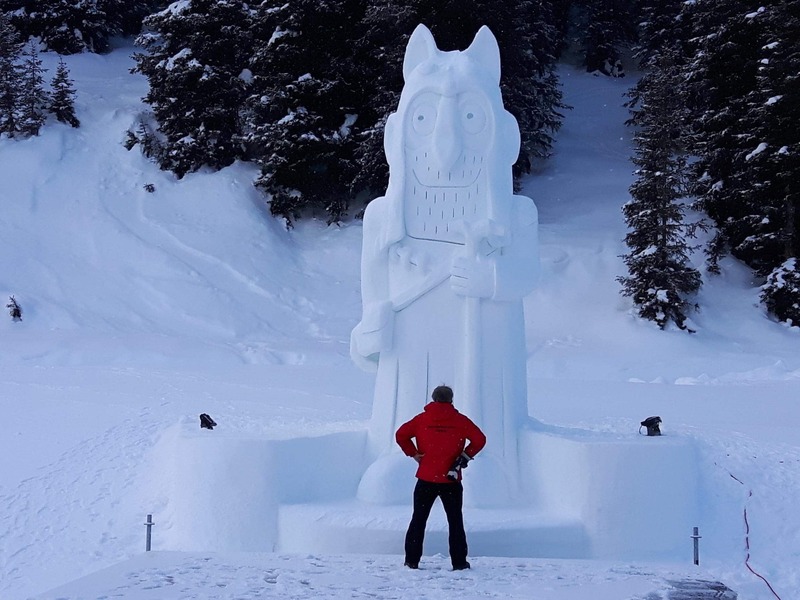 7 meters high and made entirely of natural snow is this sculpture, which we created on behalf of the Tourism Association. 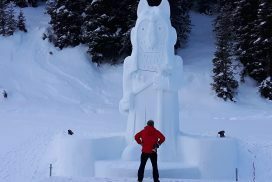 It represents the mythical creature "Ami Sabi", a fictional character around which all children's activities in the region are entwined. This event fits in perfectly with the overall marketing strategy. 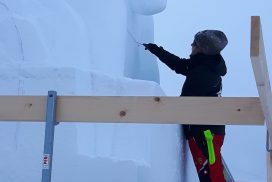 Such a snow sculpture project requires ideal winter conditions with constant minus temperatures. 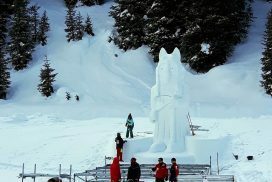 Artificially produced snow can also be used for this purpose. Your location is not high up in the mountains? 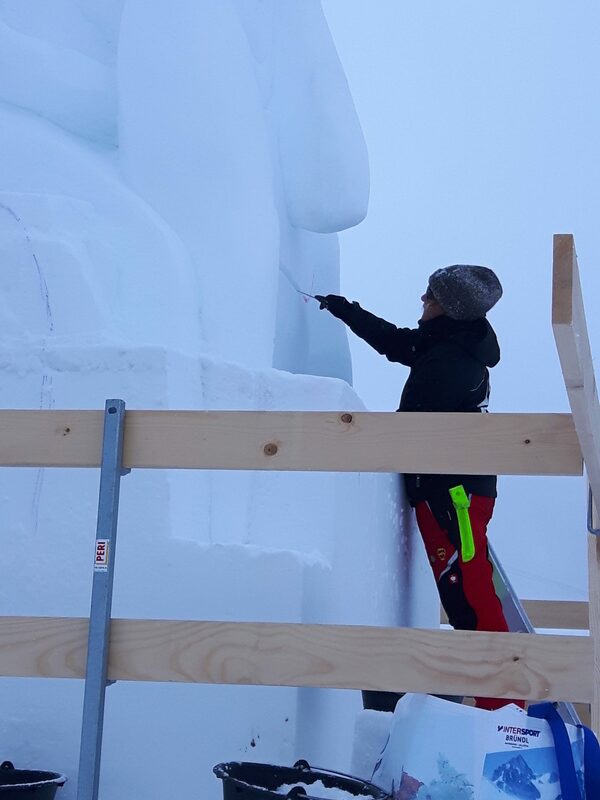 Snow sculptures are also possible in the lowlands: in well-cooled tents with snow pre-produced by snow cannons. 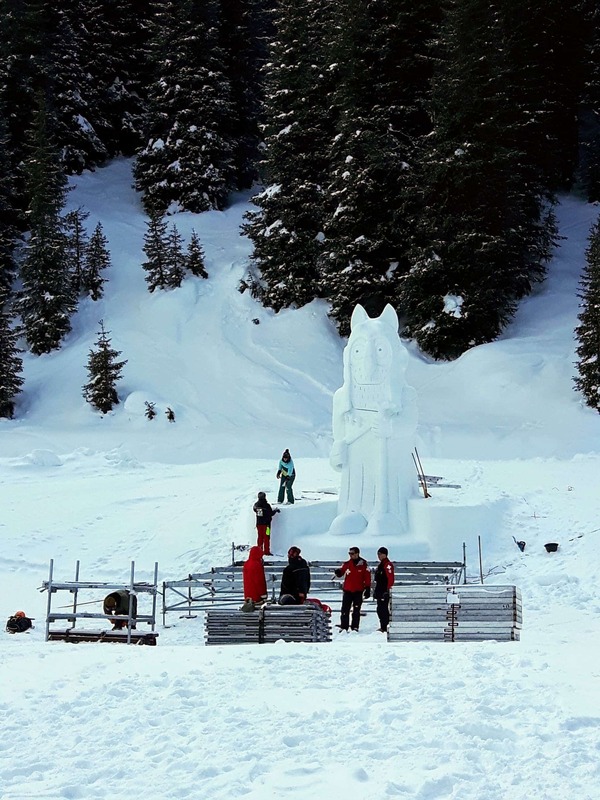 In combination with our ice sculptures we design together with you an individual event. 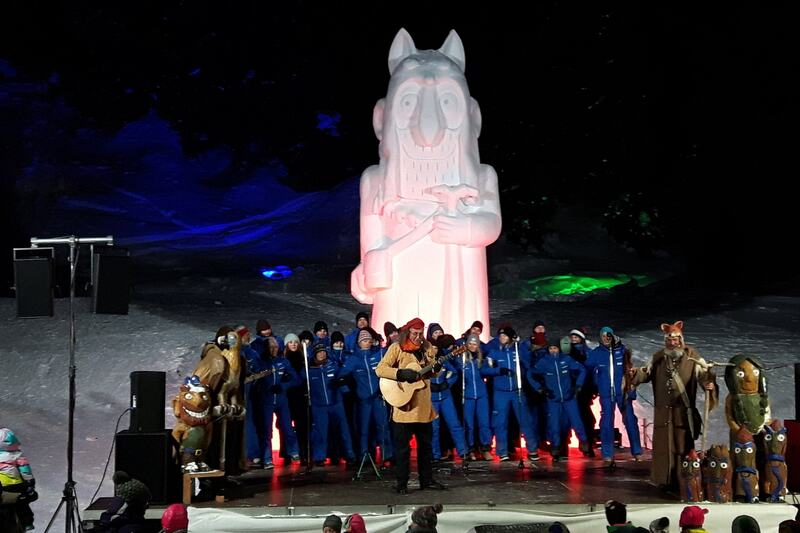 Children's concert in front of our 7 m high snow sculpture "Ami Sabi"
Despite the bitter cold of -16 ° C, several hundred children and their parents came by special trip with the gondola on the high plateau in the Swiss Alps. Linard Bardill, who created the legendary figure of "Ami Sabi", united children from all over the world to sing together - an atmospheric finale.